Bicester: Bicester Round Table Fireworks and Bonfire Night 2018. Click on the event for ticket and event info. Abingdon: Abingdon Firework Display, Long Furlong Community Centre. Click on the event for ticket and event info. Witney: Witney Fireworks Spectacular, Witney Rugby Football Club. Banbury: Bodicote Fireworks Display 2018. Click on the event for ticket and event info. 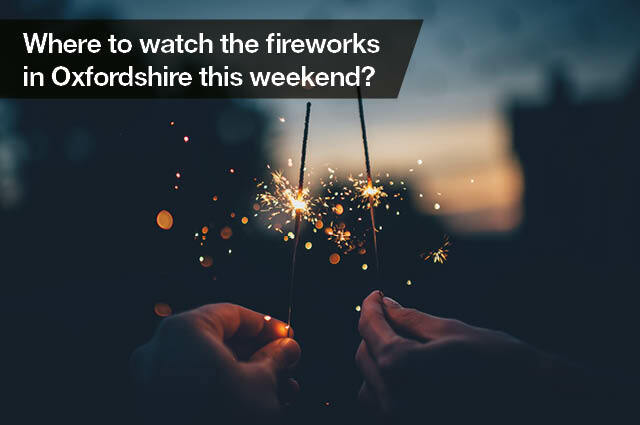 Oxford: There is a large fireworks event in South Park, Fireworks in Headington but for those in South Oxford you could go to the South Oxford Adventure Playground (SOAP) and for those in West Oxford you could go to the Fireworks at Botley School event. Click on the event for ticket and event info.